ChicoHomes.com Chico California Real Estate & Homes For Sale in Chico Downtown and near CSUChico Campus. Baywood Real Estate is a small local real estate firm with experienced dedicated agents. You can view ALL listings from ALL Real Estate Agents. in all of Butte County from this site. Please feel free to explore the website and if you have any questions, would like to see a home in person or to discuss your home's value, please give us a call today. We are here to help you. Not pressure you. 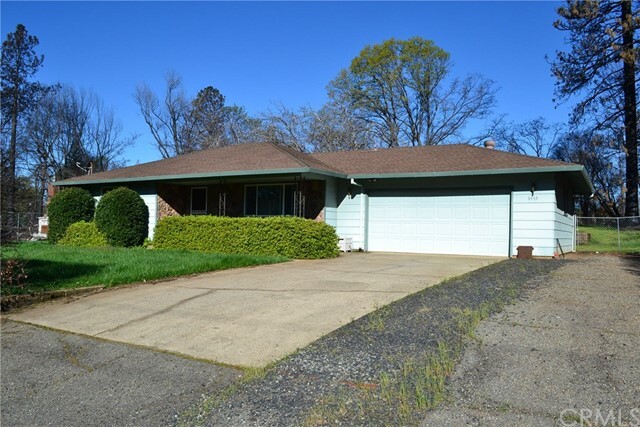 New Chico Listing with 4 bedrooms, 2 bathrooms and 1232 square. "Don't miss your opportunity to call this home! Beautiful orchard views, private fenced yard with RV parking and alley access. 3 bedrooms, 2 baths with an private office off the master bedroom are just a few of the features! Tile flooring, newer stainless steel appliances...it's definitely a must see!!! Roof, Water Heater & HVAC have all been done within the last 5 years. More pictures to follow next week! Please note, County records state 4/2, Agent notes 3 bedrooms with closets and a bonus room, 2 baths. Buyers to investigate all aspects of property to their satisfaction." New Paradise Listing with 5 bedrooms, 5 bathrooms and 4713 square. 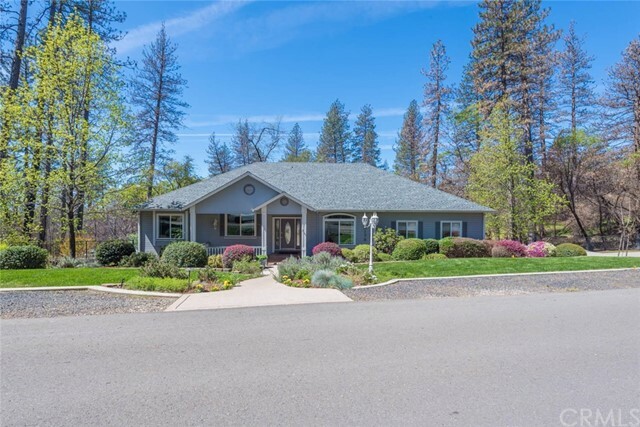 "Set in a private 20 acre estate atop the McKay Ridge, this exquisite chateau offers spectacular panoramic views of Berry Canyon & Sutter Buttes. Abundant large windows make the most of this stunning backdrop. The elegant custom front door takes you to the magnificent formal living room where the large picture window provides a perfect backdrop to the meticulous styling. A well appointed kitchen sits at the heart of the home. As well as being the perfect family space, top of the line appliances & abundant storage make it a chef s dream. The master suite exudes luxury & comfort, providing a private sanctuary where you can unwind in the Jacuzzi jetted tub while enjoying picturesque canyon views. The refined executive office furnished with cherry wood, provides the ideal space to take care of pressing business matters from the comfort of your own home. This peaceful & tranquil setting provides a retreat from the busy pace of life & the opportunity to relax under an uninterrupted vista of stars in the night sky. From the classic & timeless styling to subtle hi-tech features, the attention to detail in this home is impeccable & fit for the most discerning connoisseur. High quality materials & components result in a home built to stand the test of time. Owned solar, lifetime warranty low-E windows & extensive insulation combine to provide impressive eco-friendly credentials. Ask your Realtor to provide the supplements for full details on the extensive features of this property." New Paradise Listing with 4 bedrooms, 4 bathrooms and 3800 square. "Unbelievable Opportunity for this amazing 1.17 acre Paradise Estate Property! This property can not be replicated at this price! 2004 Custom Built home has gone through an interior remodel in recent years w/ property being fully developed & landscaped! The setting is truly wonderful. 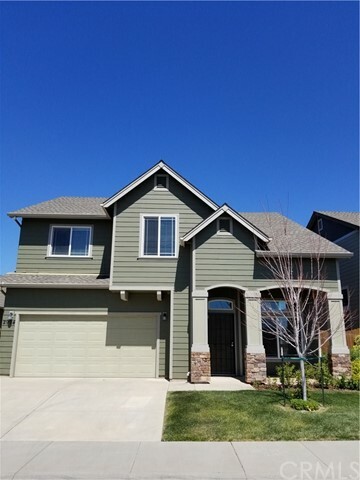 The main level offers formal entry, french door office/den, open kitchen to family room w/ vaulted ceilings, split Master floor plan, Master Suite, guest bedrooms w/ their own bathrooms and 2 car attached garage. Downstairs is a large media/entertainment room w/ a kitchen nook. Off this area is a full bedroom, bathroom & 3rd car garage with amazing storage plus a sauna! Potential for mother-in-law unit, guest unit or? This home has been updated throughout. Paint, Flooring, Recessed LED lighting, wireless system, high-end tv/entertainment systems, crown molding, high-end appliances & so much more! The new 350+ sq ft. deck has plank tile floor, spiral staircase to lower covered patio w/ Knotty Pine Tongue & Groove ceiling & recessed lighting! The 2018 Custom Pebble Tech in ground pool, electric cover & amazing flagstone deck plus a Caldera hot tub! 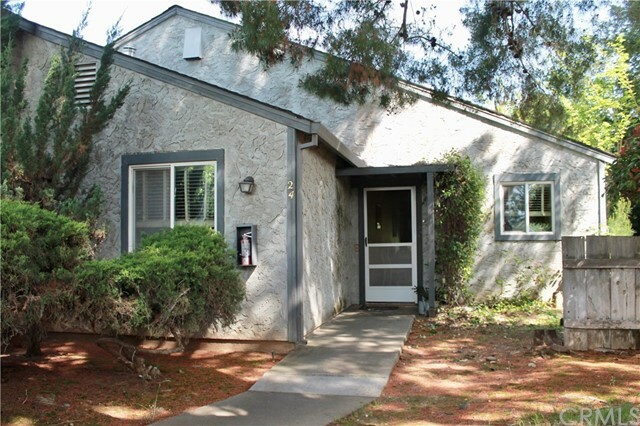 Half Basketball Court w/ lighting & water fountain, Concrete walkways meander to all areas of the yard, fully fenced property w/ upgraded black chain link, spring fed professionally landscaped creek, 600 sq ft. detached building w/ 2 offices, 1/2 bath, kitchenette & HVAC. This Estate Property has too many upgrades to list!" 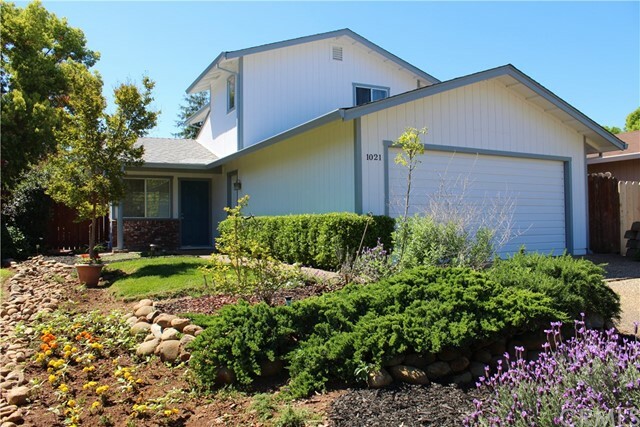 New Chico Listing with 3 bedrooms, 3 bathrooms and 1664 square. "This is the definition of a TURN-KEY home! 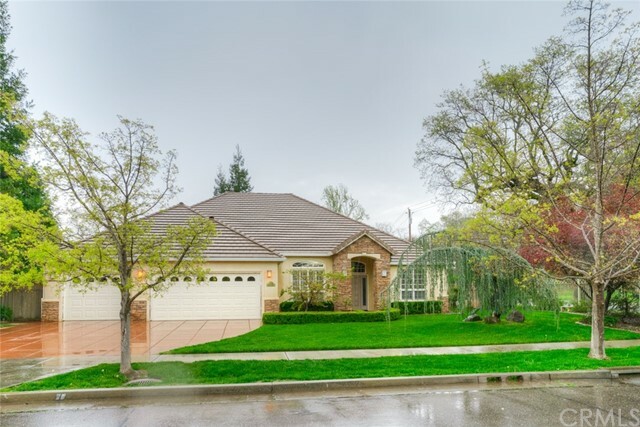 Situated in desirable California Park, located on a cul-de-sac and has ACCESS TO THE LAKE! The home shines with cleanliness. It feels light, bright & open, and has many upgrades throughout. The updated kitchen has touches of stainless steel mixed with wood-style floors, bright white walls and an industrial feeling! The custom made stainless steel railing wraps from the top floor down to the living area and is complemented by a matching stainless fan and kitchen appliances. 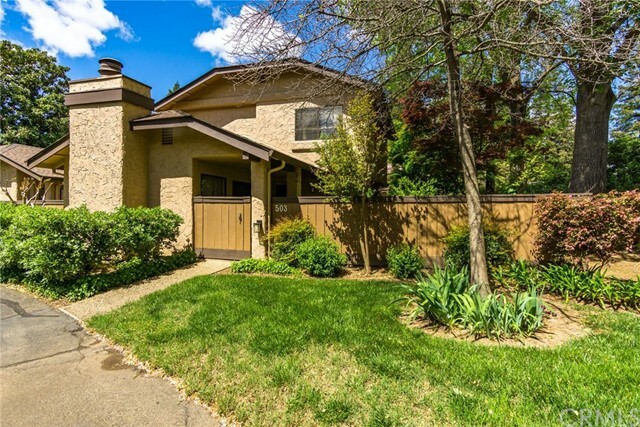 There are actually two living spaces, one with a stunning fireplace that features a beautiful tile surround, the second room is on the lower level which has a half bath and sliding door to the rear yard. The bedrooms are spacious, bright and updated. The large master has a french door entry, double sink vanity and is truly an area you can enjoy. 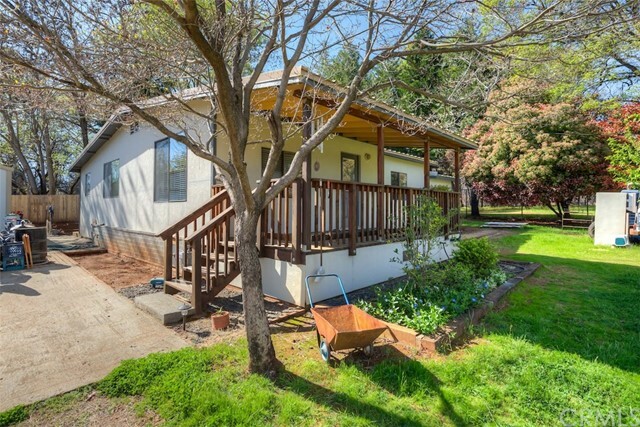 This property is ready to go, so kick back and relax in your enclosed back yard, or, get your hands dirty in your raised garden beds! Whatever your lifestyle you re going to enjoy living here "
New Chico Listing with 3 bedrooms, 2 bathrooms and 1498 square. 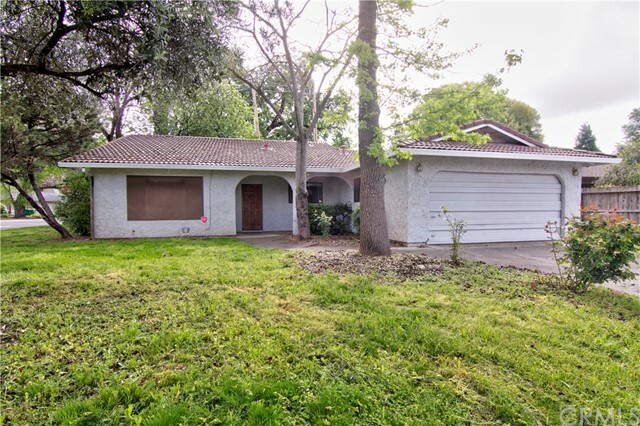 "This is a great property just a few blocks from Bidwell Park. It sits on a corner lot that is at the beginning of the cul-de-sac. The home is ready for you and your paint brush to make it your own! The floorplan features separate living and family rooms making it perfect for a formal and less formal area's. There is also a spacious master bedroom with a stand alone shower. There is a great patio out back for BBQ, and morning Coffee. There is a 2 car garage that is over sized and offers room for your cars and storage. Don't miss the great gem!" 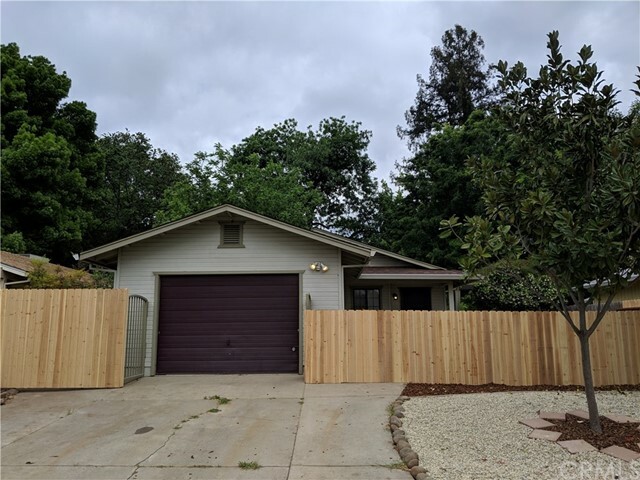 New Chico Listing with 3 bedrooms, 2 bathrooms and 1170 square. "Experience home ownership with location, features, and value right from the start. Solid neighborhood, functional floor plan with a bedroom and bath on the ground floor and two bedrooms and a bathroom upstairs. Great curb appeal, two car garage and the backyard made to enjoy. Now the extra, behind the house is another area, with the secret garden and buffer zone between properties. That s more space to enjoy. Many interior and exterior features are recently updated, grey-brown tone wood style flooring sets the style and quality at a high level. Fresh paint and carpets make the move in easy just place furniture and relax! Exterior painting and maintenance look great. This home is a match worth making!" 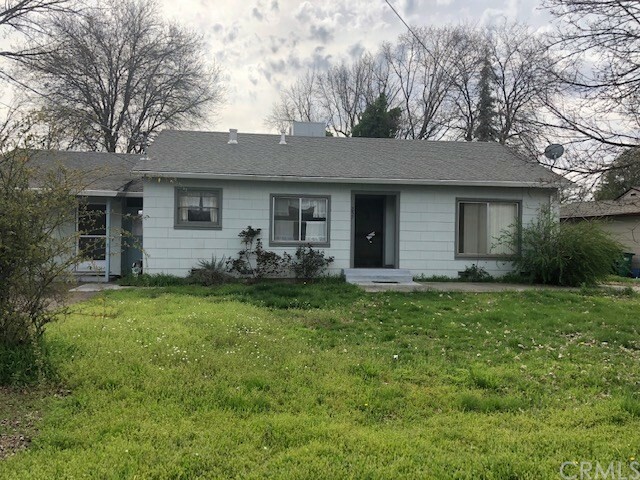 New Chico Listing with 3 bedrooms, 2 bathrooms and 1751 square. "Two on one lot. Live in one and rent the other! The small unit would also be fantastic for a mother-in-law or college student. The main house is charming with 2 bedrooms, 1 bathroom, good-sized kitchen, large utility room and huge back yard. The second unit is a 1 bedroom, 1 bathroom with a full kitchen, laundry, front porch and fenced back yard. Each unit has separate addresses and electric meters, and off street parking. Shared water meter. Sq. ft., bed/bath counts, lot size, etc taken from public records and has not been verified by agent. The information contained herein has been obtained through sources deemed reliable but cannot be guaranteed as to its accuracy. Buyers are advised to investigate to their satisfaction. Any information of special interest should be obtained through independent verification." New Chico Listing with 2 bedrooms, 2 bathrooms and 1039 square. "This two bedroom, two bath home with a two car garage is located on a private tree-lined street. The great open floor plan has lots of light. The kitchen window looks out over the large green common area. This home features Dual Pane windows, many with Hunter Douglas blinds. You are going to love the Step Safe jetted tub in the master bathroom! Approx a year old, this is a high end hydro-therapy walk-in tub. Enjoy Chico evenings in your nice sized fenced back yard. You will even have a fireplace for those cozy winter nights! This home is a Duet, which means it shares a wall with the neighboring home." 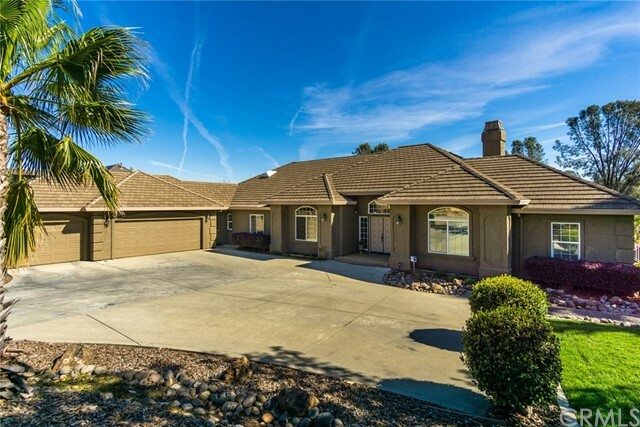 New Chico Listing with 4 bedrooms, 4 bathrooms and 3270 square. "So much to LOVE about this classy home on 1 acre in the gated Canyon Oaks golf course community! Located at the end of a culdesac with gorgeous views, this is one of the most serene settings you will find. Enter the spacious greatroom with gas log fireplace, built-in shelving and expansive views of the golf course greenbelt. The gourmet kitchen features new stainless appliances, with oversized French door refrigerator/freezer and 6-burner gas range (commercial style dual-fuel convection). Large chef's island, granite countertops, plentiful cherry wood cabinets, and walk-in pantry create a kitchen everyone will want to gather around! The open design features split floor plan, vaulted ceilings, four skylights and lots of large windows inviting natural lighting. Master bedroom exudes ambiance, with gas fireplace, remote window shades and oversized walk-in closet with built-in dressing table/drawers. Don't miss the Roman tub and double shower in master bath! The back bedroom has a walk-in closet and private slider leading to the deck. 4th bedroom is perfect for an office. Roomy laundry/utility room with new gas washer and dryer (included in sale). Imagine the festive gatherings around the inground swimming pool with waterfall! The landscaping is lush and gorgeous, and there is a fenced dog run and large walk-in storage area under house. All this plus a 3-car garage and spacious driveway for parking additional vehicles. You'll want to see this lovely home in a private setting!" 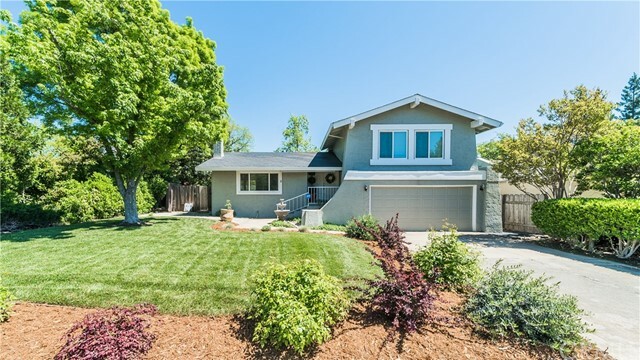 New Chico Listing with 3 bedrooms, 3 bathrooms and 3013 square. "You won't find another high end home, at this price, right across from the park. Beautiful 3 bedroom, 3 bath home with office, separate family room and living room and so much more. Three car garage with work shop and professionally landscaped back yard with water feature." New Chico Listing with 4 bedrooms, 2 bathrooms and 1633 square. 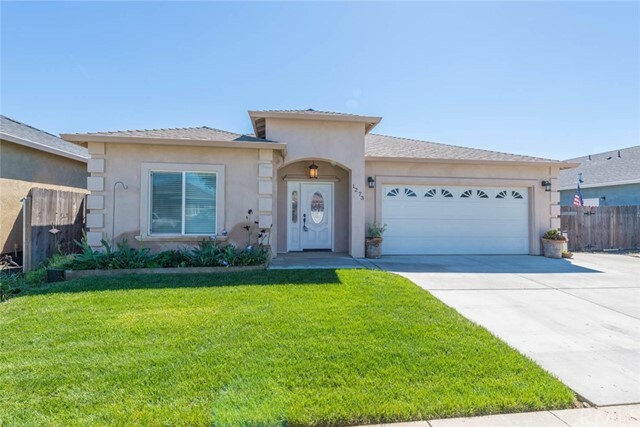 "Beautiful turnkey home in great neighborhood with many upgrades. 4th bedroom with closet or office with frosted glass french doors. Formal tile entry with wainscoting and high ceilings. Kitchen is open to dining and family room with granite countertops and stainless steel appliances and walk in pantry. Built in microwave and oven and gas cooktop with custom tile design. Pull out drawers make for easy cabinet access. Large family room with fireplace and slider to backyard with covered patio. Master suite also has a door to patio. Master bath offers separate tub and walk in shower plus dual sinks and pretty granite. Backyard is spacious, room for a pool, with garden beds, lawn and timed automatic sprinkler system. Side of home has extra parking space for boat or small trailer/RV. This home is move in ready and gorgeous. Come see it today." New Chico Listing with 4 bedrooms, 3 bathrooms and 1750 square. "This is a lovely 4 bedroom, 2 1/2 bath home. It's features include laminate flooring, granite counter tops, vaulted ceilings, 5 1/4 inch baseboards and a low maintenance back yard with covered patio and hot tub. Pride of ownership shines through on this well maintained home. It is located in a great neighborhood close to shopping and schools. Don't miss out on this one!" New Chico Listing with 3 bedrooms, 3 bathrooms and 1728 square. "This lovely home offers easy of ownership and privacy plus with the beautifully landscaped sideyard. There are 2 sliding glass doors opening to the patios and yard with its Japanese maples shading the flowers and ground cover. The large private area is unusual in a planned unit development as there aren't neighborhoods directly next door. Inside this home you'll love how light and bright it is with the large windows and sliders to the east for great morning light! You'll have shade in the afternoon so you can enjoy your evening refreshments out of our hot afternoon sun. The kitchen opens to the dining and nook area and the window to the patio make the cook a part of any get together. There is a large ( Calif King sized) master suite that feels like you're in a tree house with windows to the tree tops! With the laundry closet in the bedroom hall you won't have to take your laundry 10'! The exterior is maintained by the HomeOwner's Association, including roof, painting, exterior fencing and its gorgeous grounds complete with in ground swimming pool! This is a special home that you'll want to see!!" New Paradise Listing with 2 bedrooms, 1 bathrooms and 1330 square. "ATTRACTIVE PARADISE HOME IN DESIRABLE LOCATION! 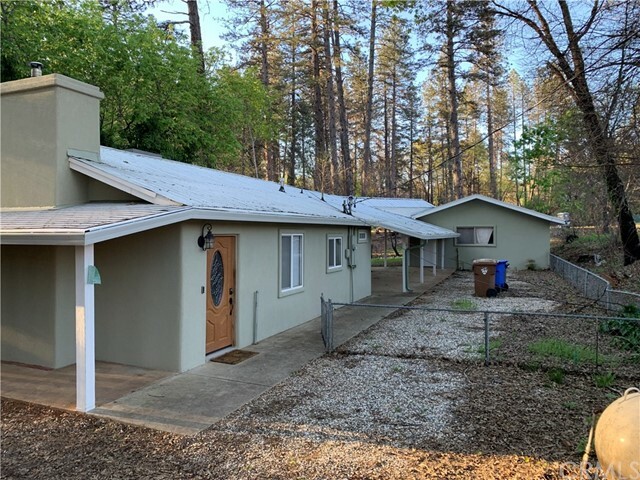 This 2 Bedroom 1 Bath home offers 1,330+/- on a nicely sized and USABLE .41 Acre lot, conveniently located in town close to services and transportation. This lovely home has a large living room, Kitchen with ample cabinetry and counter space, dining area with built-in storage, bonus room that makes a great den or family room with sliding glass door the rear yard, two sizable bedrooms with FULL LENGTH closets, one with organizer shelves and one with mirrored closet doors, the big hall bathroom has both a full sized tub and a full sized step in shower, the attached two car garage has lots of storage cabinets and a workbench area, as well as a laundry area with deep sink & updated vinyl dual pane windows throughout most of the home. Outside you will find abundant front and rear yards with a terraced courtyard area in the rear with a platform deck and lots of extra space for gardening, a workshop, or?? Lots of possibilities here, out front you will find a nice grassy area with azaleas along the edge of the covered front porch, there is also lots of parking including RV parking and a wide gate leading to the rear yard. This home has been professionally cleaned and is ready for its new owner. Don t delay, check out this great home in a popular location!" New Paradise Listing with 2 bedrooms, 2 bathrooms and 1216 square. "Rustic charm meets modern design. Are you in love with knotty pine ceilings? if so, this beautiful turn-key home is waiting for you. The beautiful tile entry will lead you into this spacious 2 bedroom 2 bath home. The kitchen boasts newer appliances including a stainless steel electric stove and built in microwave. Don't forget about the gorgeous kitchen cabinets with a lazy susan for all your small appliances. The living room has a wood insert to help keep you warm in the winter and a sliding glass door that exit onto the concrete patio. The spacious master bathroom offers a walk in shower. Your master suite has ample closet area and a door exiting to the backyard where you can put your patio furniture and enjoy the sounds of a year round stream. Need some room to park your cars and boats? This home offers a 3 car detached garage with a covered breezeway and a nice large shed. This is a must see home. Just move yourself and your furniture in and you will be ready to make some new memories." New Paradise Listing with 2 bedrooms, 1 bathrooms and 1168 square. "This home is ready to go with an installed Culligan water filtration system located just after the main water meter! Located in lower Paradise and tucked off the main road is where you will find this fully fenced property. The home has a newer metal roof and a nice sized detached metal garage. There is ample space on the property for RV/parking storage, a garden, or whatever your heart's content! As you enter from the covered front porch into the living room, you'll note the centrally located pellet stove and full bathroom. The two bedrooms are on the same side and thru the back bedroom you will find an additional bonus room. The bright & cheery kitchen has a natural gas range, dining nook, laminate counters and a secondary water filtration system under the sink. Off the kitchen is the indoor laundry which then leads out to the private backyard with a new wood fence. This home is clean and move in ready, call today for your private tour!"